Let us all take a moment today to consider the tsunami of fun that began with this film. 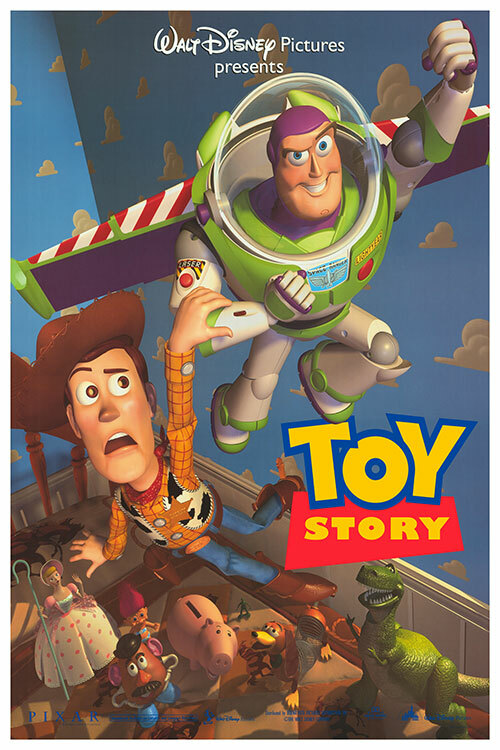 Toy Story started as a very different film—so different that it is a miracle that we wound up with the Toy Story that was released on November 22, 1995. Pixar, which was then owned by Steve Jobs, had success with short animated films like the Oscar-winning Tin Toy. The idea was to make a feature film. Toy Story started life as a film about an antique wind-up toy and his adventures with a nasty ventriloquist dummy. 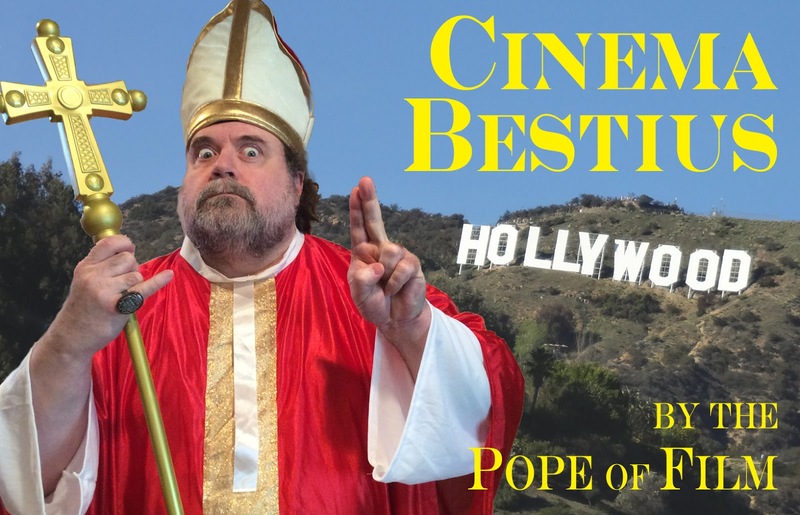 Through multiple drafts, multiple screenwriters, multiple threats to shut production down, multiple visits to the recording studio for the voice cast, and multiple re-boots (literally) we have this amazing film. The Plot In Brief: When humans are not around, toys are real and come to life, just as we have always suspected. Human Andy receives a new action figure for his birthday, a spaceman named Buzz Lightyear. The toy immediately becomes his favorite. Woody, a cowboy doll, was Andy’s favorite toy for most of his young life. Woody tries to swallow his jealousy and welcome Buzz to Andy’s bedroom, but there is a problem. Buzz does not understand that he is a toy. Buzz believes that he is a real spaceman. In an uncharacteristic show of malice, Woody takes steps to eliminate Buzz. He is all too successful. 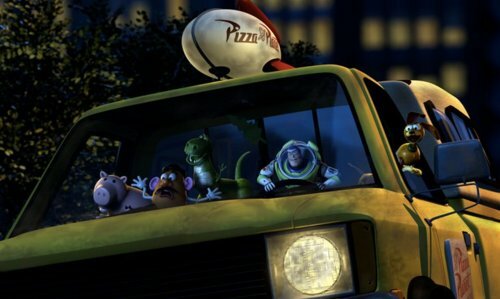 He and the other toys must band together to return Buzz to Andy’s bedroom. Bring that spaceman home safely! Beyond the groundbreaking animation, the literate scripts, and the top-flight voice talent, Pixar is to be commended for the messages that their movies impart to small children. Many children’s films seem to be about farts and burps and pee-pee and poo-poo. It is easy to get a laugh from small children with those topics, believe me; I do it all the time. Witness the trailer for the upcoming Angry Birds movie, which features an extended sequence of a bald eagle micturating. 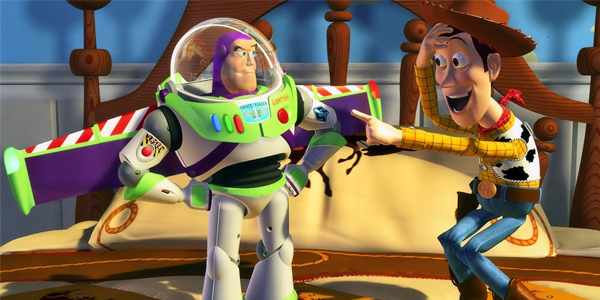 Toy Story emphasizes the importance of friendship (even with someone very different from yourself) and teamwork. Monsters, Inc. also stresses the importance of friendship… and the viability of alternative energy sources. Finding Nemo focuses on family and how terrifying independence can seem to a small child. The Incredibles shows that people who are different are special and have a right to be different. Ratatouille teaches children to never let others define them. Inside Out gives children a whole new metaphoric way to discuss their own emotions. A Bug’s Life demonstrates that a viable children’s film can be adapted from Kurosawa’s The Seven Samurai. We should all be thankful that our children are learning these important things from Pixar film. I know I am. Don’t get me started about Toy Story 2. I have always had a love/hate relationship with Toy Story 2. On the one hand, it brings back the beloved characters from the first movie and introduces us to a brand-new character, Jesse the cowgirl. It contains the wonderful message that toys should be played with and are not to be kept “mint in box” or stored away as investments. I agree with that wholeheartedly. 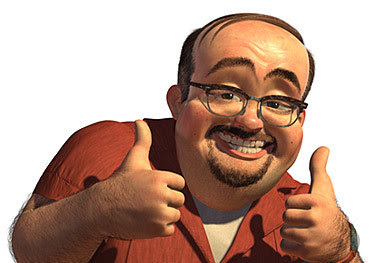 But Toy Story 2 features a villain, Al the Toy Collector, who looks exactly like me. To say the least, I was both fazed and frightened by this resemblance when the film was first released and even shaved my goatee so I would look less like him. Of course, one can argue that Al is not ME; he is just a cultural stereotype of the overweight nerdy guy who never grew up. Armies of these guys can be spotted at Comic-Con. The Simpsons' “Comic Book Guy” is one of them. It does not bother me much… anymore. These are my people. In nomine Patrice, et Toys R Us, y spiritu Pixar, Amen! "When humans are around, toys are real and come to life, just as we have always suspected." ...Do I really have to point out the missing "not" in the first clause? I think you do a great job here highlighting how influential this film is. Whilst still conveying the 'tsunami of fun' that is the worlds they create. It never feels overly pompus. It is important, but it rings so true that you cannot help love those characters. Toy Story 2 is delightful so I am glad you do not mind that character so much now. I would have never had linked you two together, you are far more charming a spirit than Al for one thing!